Show your Highlander pride by wearing this pin with you wherever you go! Inspired by logo of the popular Starz show, this Outlander Scottish Thistle Pin embodies the soul of Scotland. This beautiful pin has a matte-gold finish which gives it a rustic feel that is sure to add charm to your outfit. 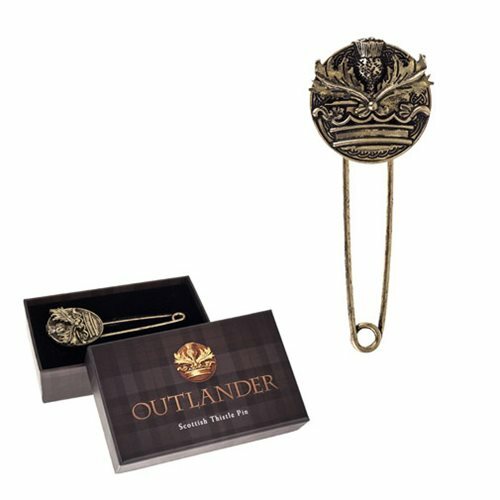 This pin, which comes in a tartan gift box with a foam insert, is made from gold zinc alloy and measures at 3-inches long x 1 1/4-inches wide.